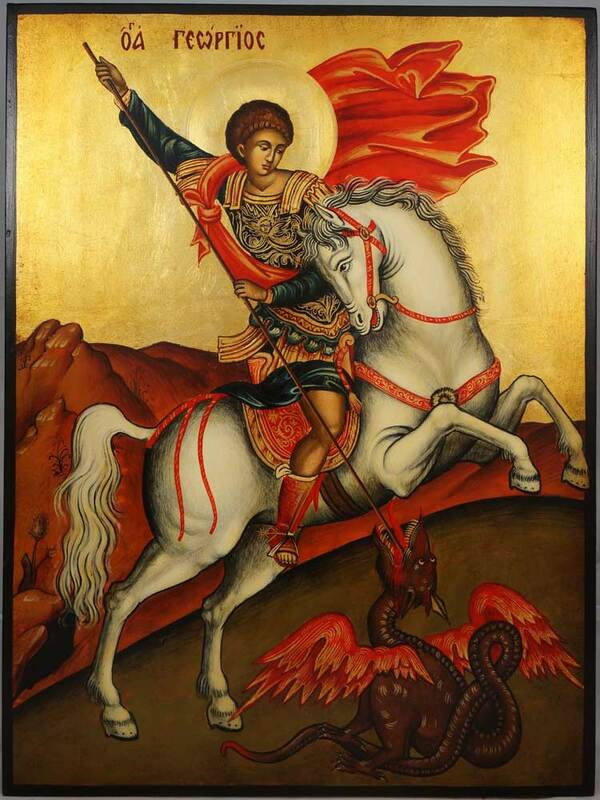 St. George of course was a saint revered in Byzantium. The Normans imposed him on us as our new patron saint. Herewith above, a suitable Byzantine icon painting since our politics seem thick with intrigue and skulduggery. Click on image for full size rendition.